A common challenge in Montana gardens (and soils across the western North American plains) is high levels of salt. Nutrients enter plants, first by being dissolved into water, then the nutrient ladened water passes through the walls of the plant’s roots into the the plant where the nutrients are used by the plant. The water flows in the direction of the lower salt content. In most plants in soils, there is a higher concentration of minerals and salts in the roots than in the soil, so the water flows from the soil to the plant’s roots. However, if the salt levels are high in the soil, the water does not pass between the roots and the soil, or worse, it passes from the plant to the soil. 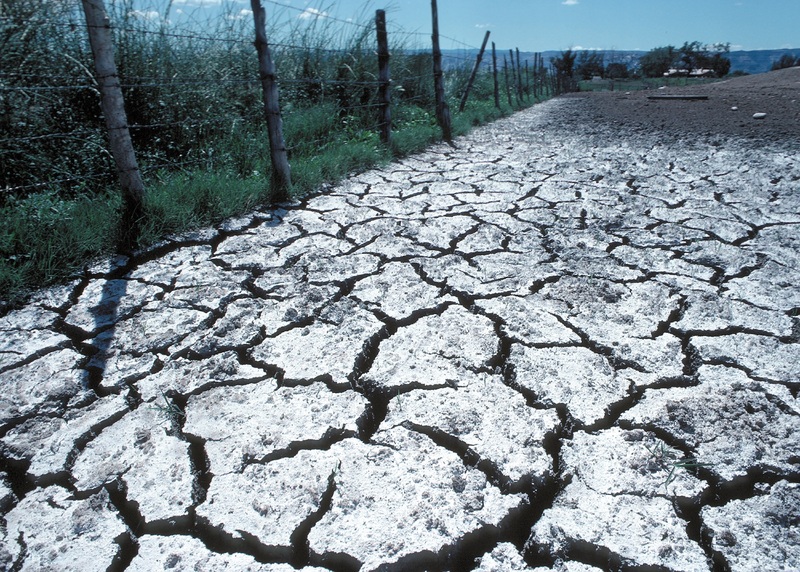 This is why the symptom of high salts in the soil is similar to the symptoms of drought. In both cases the plant is failing to grow or grow well because it isn’t getting enough water. Interestingly different plants have different sensitivity to salts in the soil. Peas and spinach, for example, are very sensitive to salt. Asparagus is very tolerant to high levels of salt. There are a number of ways to manage high levels of salt in your garden. First you need to know how much salt is in your soil. This is available on any standard soil test. Then you can see if the plants which are not thriving in your garden are likely to be affected by the level of salt in your soil. 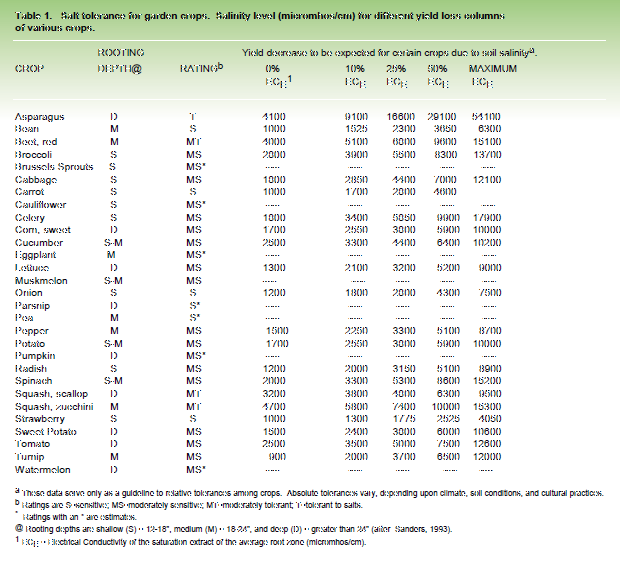 Table from the South Dakota State Extension article on salt tolerance for garden crops. It is also very important to water regularly and thoroughly. Other approaches are covered in the article listed below. Welcome to the B&C AG Consulting Garden Blog. Gardeners can express their interest and passion for gardens, fruit, vegetables and the environment in many ways. Some like a few sunflowers, some like a maximum of produce, some like gardening for a short time become bored and let weeds take over. All have one thing in common, no gardener knows everything or can’t learn from others. That is the founding principle of this blog. The Amend Park Community Garden is the playground for our gardeners. Located on the east side of Amend Park, we strive to get long with our neighbors and enjoy the opportunity to connect to nature. Some will only see the pounds they produce as a fulfillment of their interest. A few gardeners will spent time teaching and sharing their experiences with grandchildren. There are gardeners who spend all their time alone in meditative solitude. A couple will strive to set examples of good gardening practices. All share a community experience along with the gardening. Tolerance of other gardeners is an asset, but like many communities it is often in short supply. Home gardeners have the same garden problems with fewer neighbors giving unsolicited advice. A quick search of the internet will provide ideas, but without certainty of the good practices. We will not be passing along information without researching science based advice gathered from extension and university studies. Our blog will provide references and links to further reading from those sources. Share our journey for gardening passion and no regrets of unfulfilled dreams.